"Even though the shrimp business strayed from his original career plans, Carson never looked back. The shrimp business was exciting and rewarding." Carson & Company was founded in 1976 in the historic French fishing village of Bon Secour, Alabama by accountant turned shrimp processor Carson Kimbrough. After several years of wearing coat and tie as an accountant, the Alabama native yearned to do something a little less formal and more challenging. After meeting and talking with a local shrimp processor on a golf course one day, Carson decided to ditch the suit and tie and took a hardworking job at a shrimp plant. Even though the shrimp business strayed from his original career plans, Carson never looked back. The shrimp business was exciting and rewarding, and it appealed to his career goals at the time. Carson’s passion led him to pursue his own business, and his first investment was a shrimp boat that he himself operated for four years before deciding to venture into the processing and marketing aspects of the business as well. The company’s strengths are their quality products, their reputation, their brand recognition and the trust they have built with their vendors and customers. They invest in their relationships with their shrimp docks as well as supplier vendors for the long-term. 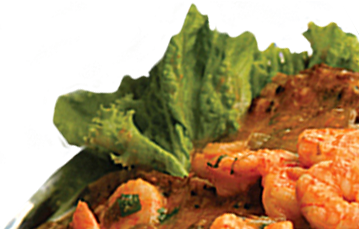 Carson & Company is determined to continue its focus on exacting quality control on their Wild Caught Gulf shrimp, and they are committed to standing behind their motto “Always Good Shrimp” for many years to come. Read more about Carson & Company, here.